“Two stars??? ?” – Tom Kerridge’s renowned (because of Michelin) destination is “a nice pub with very good food but it’s not up to the incredibly high standards that the French tyre company seem to think it merits” and consequently can appear “way over-hyped”. A fair number of reporters do indeed experience “magnificent cooking” (“so many things on the menu that you’re dying to eat”) delivered with “warm-heartedness, of a kind not given in most London eateries”; and in an “atmospheric setting, which remains like a gastropub despite the awards”. But, perhaps because TK has been distracted by his launch in the capital, the gulf between expectations and reality grew noticeably this year, and for a significant proportion of diners it now merely seems like “an adequate but unexceptional meal at a very inflated price”; or at worse “tremendously disappointing and truly bad”. “A top notch gastropub… but one that’s horribly over-hyped and certainly nowhere near two Michelin stars”. Due to the (over) recognition of the French tyre company a few years back, Tom Kerridge’s renowned boozer on the “busy” approach-road to the town centre has achieved a level of fame out of all proportion to its humble quarters and (admittedly accomplished) culinary performance, and risks becoming a victim of its own success. All reports agree that it’s a “lovely and cosy” (if “cramped”) honest pub, which despite its celebrity (and that of its TV chef owner) has stayed “very relaxed”; and legions of its fans do feel its “exceptional and traditional cooking delivers an amazing and authentic experience”, enhanced by staff “who couldn’t be more friendly”. But the growing volume of critical feedback rings alarm bells this year: the level of table turning can be “astonishing”; and too many reports of food that was “I hate to say it, but just, well, ‘nice’” (and very salty) means it risks now becoming “a cliché of ordinary cooking at bloated prices… for which it takes months to book!”. Have you eaten at Hand & Flowers? 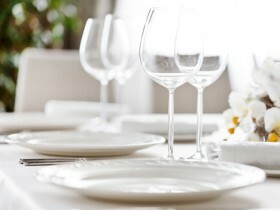 Reviews of Hand & Flowers Restaurant in SL7, Marlow by users of Hardens.com. Also see the editors review of Hand & Flowers restaurant. "Really pleased the food not only met but surpassed the hype by the distance of a marathon at least. Venison was exceptional but the star of the show was a sublime pineapple soufflé with a coconut crust. Real Sally met Harry moment!" "This is gastro pub standard and completely overpriced, a tremendous disappointment." "Once a regular and now a less and less occasional visitor, I find that standards are slipping. 80p a chip is just madness." "No mistaking the Michelin influence on the menu, which perhaps detracts from the more casual experience, otherwise. But it’s confident cooking and really quite tasty." Post your own review of Hand & Flowers and contribute to our annual restaurant review guide.